The Big Bertha OS Irons are revolutionary in their construction and are full of technological club advances. 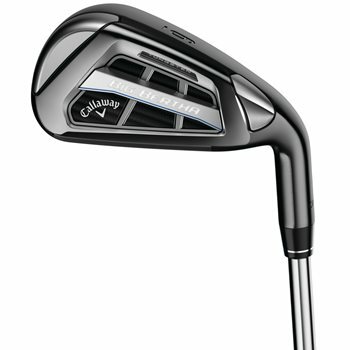 These irons feature Callaway’s strong and light weight EXO-AGE head design that improves ball speed and forgiveness. The Face Cup 360™ on the faces of the clubs act like a spring on shots struck in the center, or low on the face, in addition to increasing ball speeds of off-center strikes. The Big Bertha OS Irons also feature Tungsten-Loaded Standing Wave technology and a lower center of gravity for longer carrying shots.